The pseudonym used by Chris Brougham for crosswords in The Listener series. Pabus is a setter of crypic crosswords for the Financial Times. Richard Palmer sets crosswords in The Listener and in The Independent, using the pseudonym Merlin. He also sets Toughie crosswords in The Daily Telegraph, using the pseudonym Messinae. Pan is a setter of Quiptic crosswords on The Guardian website. David Parfitt has been puzzles editor of The Times and Sunday Times since December 2014. He also sets Times Quick Cryptic crosswords as Hazard. The pseudonym of Don Manley for crosswords in The Guardian. The pseudonym of John Halpern for crosswords in The Guardian. 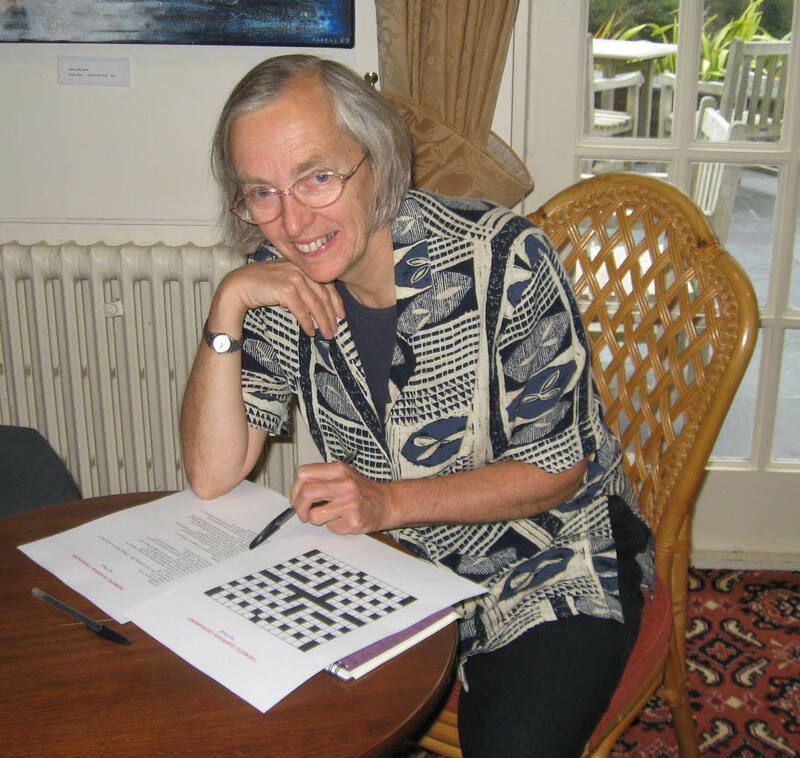 Margaret Pedler, who was born in 1954 and lives in London, started setting cryptic crosswords in earnest after she retired from the Government Legal Service in 2011. Her first published puzzle was in 1 Across Magazine and she is now published in both the Financial Times (as Magwitch) and The Guardian online Quiptics (as Provis). She chose the name Magwitch on the basis that she hoped to be a Margaret who enchanted her solvers. But the name inevitably brings to mind Dickens's "Great Expectations" and so, when she needed another pseudonym for the Guardian, she chose Provis as one of the pseudonyms used by Magwitch in that novel. She is a regular attender at Tom Johnson's annual crossword event at Budock Vean in Cornwall. Pedro is the pseudonym used by Paul Henderson for Times Quick Cryptic crosswords. Pedrock is the pseudonym used by Peter Chamberlain for Polymath crosswords in the Financial Times and for crosswords in 1 Across. 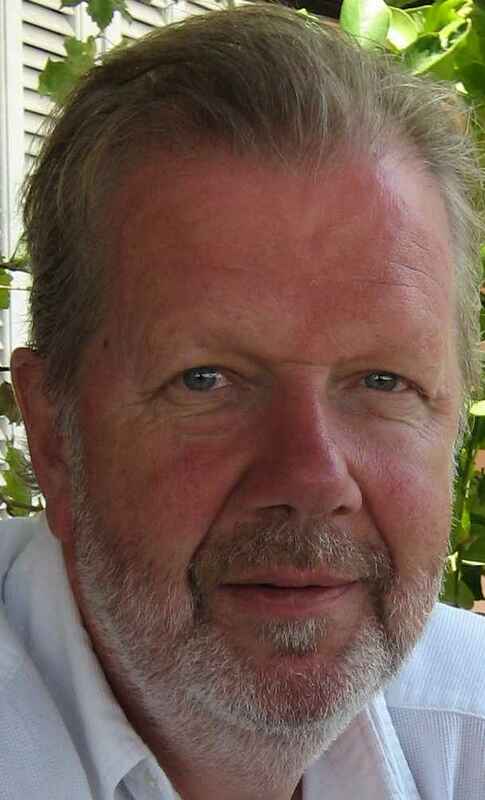 John Perkin was crossword editor of The Guardian for more than thirty years. He was born in Macclesfield, Cheshire, 30 January 1929, attended the King's School there, then won a state scholarship to Magdalen College, Oxford, where he was tutored by C S Lewis. He joined the Manchester Guardian (as it was then) in 1956. After working on the foreign desk for many years, he was appointed in 1969 as editor of The Guardian Weekly, a digest intended mainly for expatriates. At the same time he was The Guardian's crossword editor - a role he filled until 1997 when he was replaced by the current editor, Hugh Stephenson. He died 11 February 2002. Petitjean was the pseudonym of the late John Pidgeon for Toughie crosswords in The Daily Telegraph. Peto is the pseudonym of Ron Major for crosswords in the Financial Times since March 2012. He also sets crosswords in The Independent as Poins. In the 1999 film The Story of Us Michelle Pfeiffer stars as Katie Jordan, a professional crossword setter. There is no evidence, however, to suggest that Ms Pfeiffer is a crossword setter in real life. The pseudonym of Paul Henderson for crosswords in The Listener and in The Independent. Philistine is the pseudonym of Samer Nashef for crosswords in The Guardian. His first puzzle appeared in 2011. Roger Phillips, a software engineer, has been co-editor of The Listener crossword since November 2009. He sets crosswords regularly for The Times (including Times Quick Cryptic crosswords as Rongo), The Listener (as Kea, Dolos), The Independent (as Nestor) and The Daily Telegraph (as Notabilis). He also contributes irregularly to the Sunday Telegraph (Enigmatic Variations), Independent (Inquisitor) and The Magpie. The pseudonym of the late Eric Burge (1926-2008) for crosswords in The Listener between 1977 and 1982. Pseudonym used by Adam Sanitt for crosswords published in the Financial Times. (Phssthpok is the name of a character in Larry Niven's sci-fi novel Protector). Picaroon is the pseudonym of James Brydon for crosswords in the Guardian. His first Guardian puzzle was published in March 2012. John Pidgeon (1947-2016) was a journalist, author, music historian, radio producer and comedy executive. He set crosswords for the Telegraph, including Toughies as Petitjean. John was brought up in a village in Buckinghamshire, where he attended the Royal Grammar School, High Wycombe, his time there overlapping with Ian Dury and Roger Scruton. He studied French at the University of Kent and postgraduate Film Studies at the Slade School. As a music journalist in the 1970s, John contributed to Let It Rock, New Musical Express, Melody Maker and Time Out, and wrote books about Rod Stewart and Eric Clapton. After several years of making documentaries and special programmes for Capital Radio and BBC Radio 1, he was approached in 1999 by the BBC to run Radio Entertainment, which he did for six years, nurturing Dead Ringers, Flight of The Conchords, Little Britain and The Mighty Boosh during his time in charge. He was appointed a Fellow of the Radio Academy in 2003 and chaired the Perrier Panel in Edinburgh in 2005. John's tongue-in-cheek Guardian article, Clued to the Past, lamenting the lack of up-to-date cultural reference in cryptic crosswords, caused a stir in some cruciverbalist quarters in 2009. The pseudonym of Simon Anthony for crosswords in The Magpie. William Pilkington, a budget officer for Cleveland council, was three times winner of the Times Crossword Championship - in 1987, 1988 and 1994. Plodge is a former setter of cryptic crosswords in The Guardian. Ploutos was the pseudonym of the late Michael Rich for crosswords in The Listener series. Ploy is the pseudonym of Phil Lloyd for crosswords in The Listener series, the Enigmatic Variations series in the Sunday Telegraph, and the Inquisitor series in The Independent. Anthony Plumb, a primary school teacher working in Lincolnshire, sets crosswords for the Financial Times (as Flimsy) and for The Independent (as Nitsy). He also sets crosswords for the Church Times and thematic crosswords for the Independent magazine. Poins is the pseudonym of Ron Major for crosswords in the The Independent since 2010. He also sets crosswords in the Financial Times as Peto. Chris Poole, born in Chingford, London in 1951, sets thematic crosswords (as Charybdis) in The Listener, Enigmatic Variations and Inquisitor series and puzzles for The Magpie and The Crossword Club. As Crosophile, he also sets crosswords for The Independent. Portia is a former setter of crosswords in The Independent. Roger Prebble has been professionally involved with puzzles for over 30 years. During this time he has edited and compiled for many magazines, including the long-running title Puzzle Corner. He has compiled the Radio Times cryptic crossword since 1999, and he edits Coffee Break Puzzles, a magazine that is a joint venture with the Daily Mail. He has also comiled several crossword reference books: Chambers Word Lists, Chambers Word File, Chambers Phrase File, and Chambers Fiction File. When not puzzling, he spend much time creating and taking part in quizzes, and has a particular interest in geography and literature. William Thomas Pritchard (13 September 1906 - 5 November 1985) was a professional journalist. He served as an editor for number of newspapers. Like Roger Squires, he was, at one period in his life, a professional conjurer and a member of the Magic Circle. In retirement, he became a crossword compiler for The Daily Telegraph and set puzzles for that paper from 1970 to 1984. Prolixic is the pseudonym of Michael Callaghan on Big Dave's Crossword Blog where he is a regular setter and blogger of the Not The Saturday Prize Puzzle and the Monthly Prize Puzzle series of crosswords. Provis is the pseudonym of Margaret Pedler for Quiptic crosswords in The Guardian. Puck is a setter of crosswords in The Guardian. Born in Scarborough in 1952, he is a musician based in Cork. His first Guardian puzzle appeared in 2006. The pseudonym of John Halpern for crosswords in The Independent. Don Putnam sets crosswords for The Guardian (as Logodaedalus).